Even though â€˜The Amazing Spidermanâ€™ is being distributed by Sony, Marvel still gets to enjoy watching their superhero get another movie going. 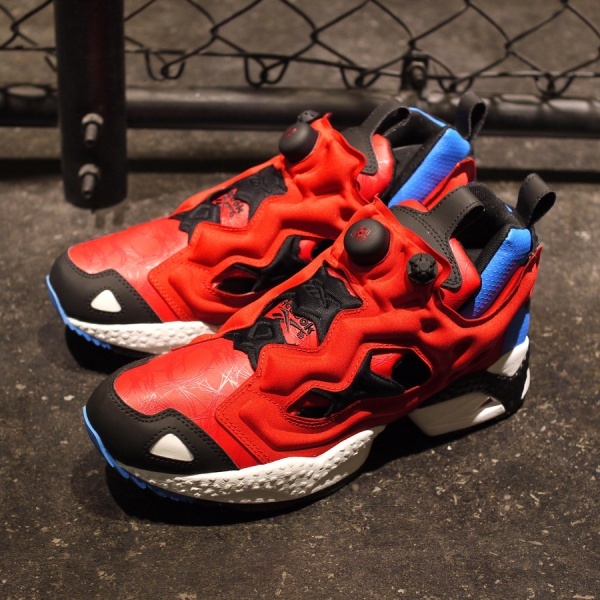 To celebrate, the comic book company has teamed up with Reebok to release the Insta Pump Fury sneaker in honor of the trash-talking web crawler. The model gets remade with red and blue colors as a nod to Spidermanâ€™s costume, subtle web graphics on the toe area, as well as the spider insignia on the pump. This will be released on June 8 2012.